Bring your marketing content, data, and processes together with Microsoft Dynamics 365 for Marketing. Find and nurture more leads by moving beyond email marketing. Connect sales and marketing, automate your processes, and make smarter decisions to maximise marketing ROI. Generate more leads across multiple channels and nurture leads providing a personalised experience. 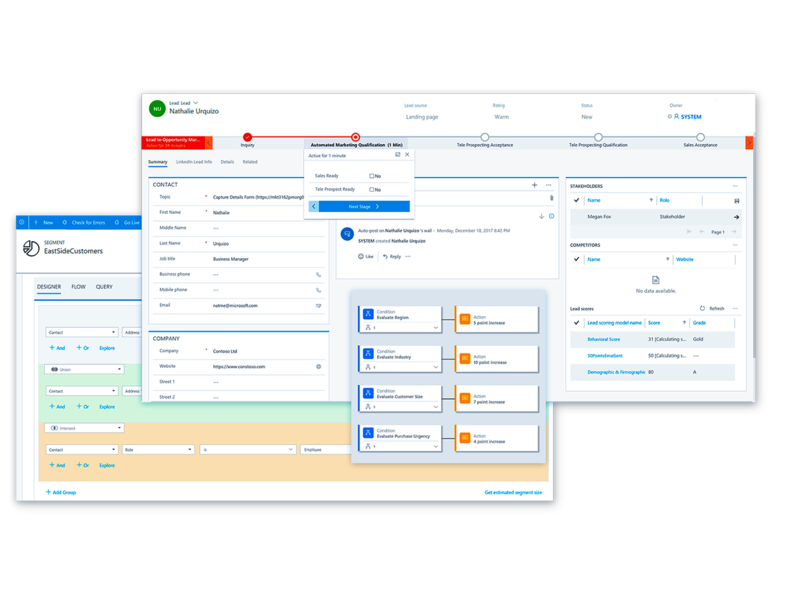 Prioritise leads, automate hand-over, and track progress with shared information and connected processes. Improve marketing ROI with integrated intelligence and analytics that track performance. Drive innovation with a modern application that's easy to adapt, extend, and connect to other applications and services you use. Attract the desired prospects and nurture leads from email marketing, landing pages, webinars, telephone calls, and events using Dynamics 365 Connector for LinkedIn Lead Gen Forms. 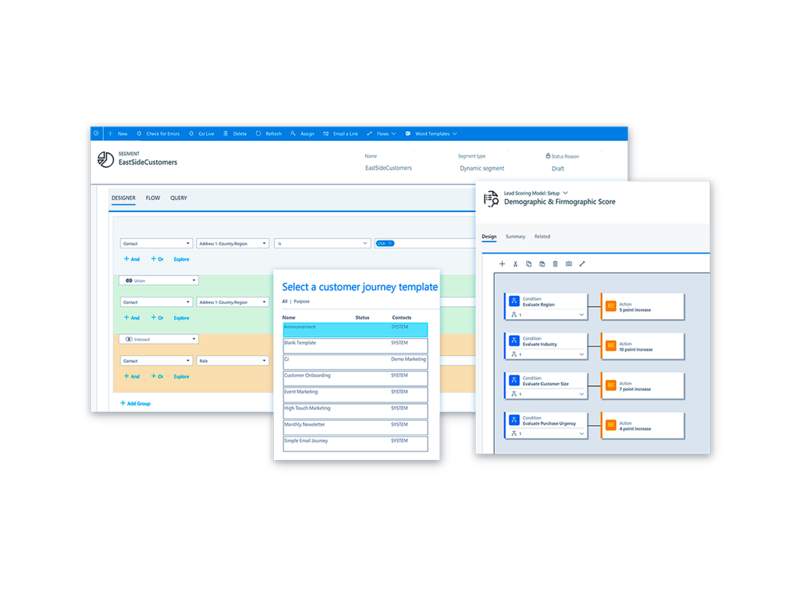 Use configurable templates and tools to set up your buyer's journey and personalise their experiences based on user engagement. Execute in person and virtual events easily by managing registrations, hosts, speakers, venue logistics, and attendance data with industry leading webinar company ON24. Use Microsoft Social Engagement to build your social presence, find new leads, and engage with prospects and customers across your social channels. 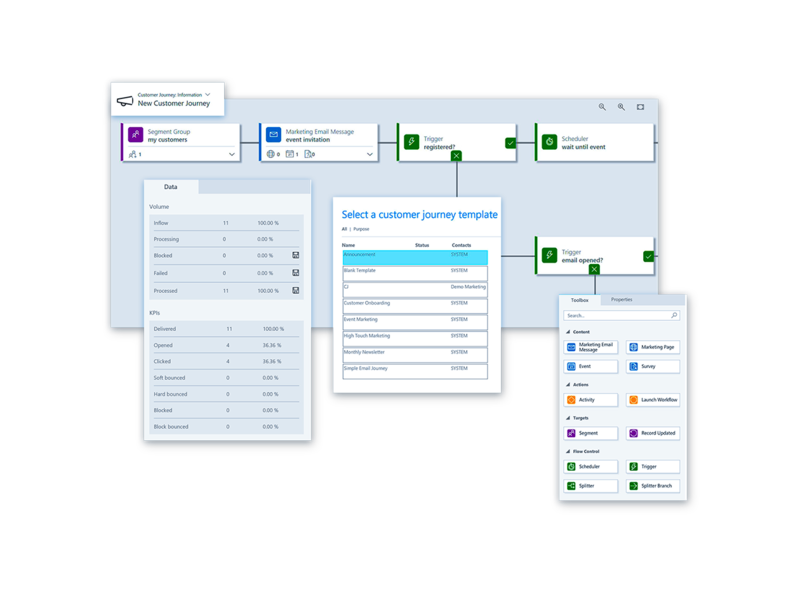 Share one source of information for contacts, leads, and customers to deliver consistent results through the buyer’s journey with Microsoft Dynamics 365 for Sales. Move prospects more efficiently through the marketing and sales pipeline with workflows that optimise the buyer’s journey using marketing automation software. Prioritise leads that are ready for the sales team with multiple lead scoring models and sales readiness grades. Use familiar Office 365 tools to create professional documents, Excel templates for analysing marketing activities and SharePoint for collaboration with colleagues. Use embedded intelligence, e.g. dynamic segmentation to target the desired audience, multiple lead scoring models to prioritise leads, and customer interactions insights to personalise their engagement. Track campaign performance and marketing activities with configurable dashboards and Microsoft Power BI. Conduct online surveys to understand your customer needs and apply those insights in to your marketing activities. Use social insights to gather competitive intelligence, measure, and manage your reputation. Accelerate time to market and adapt the application to your needs with visual editors and tools making it easy to build and deploy web and mobile applications. 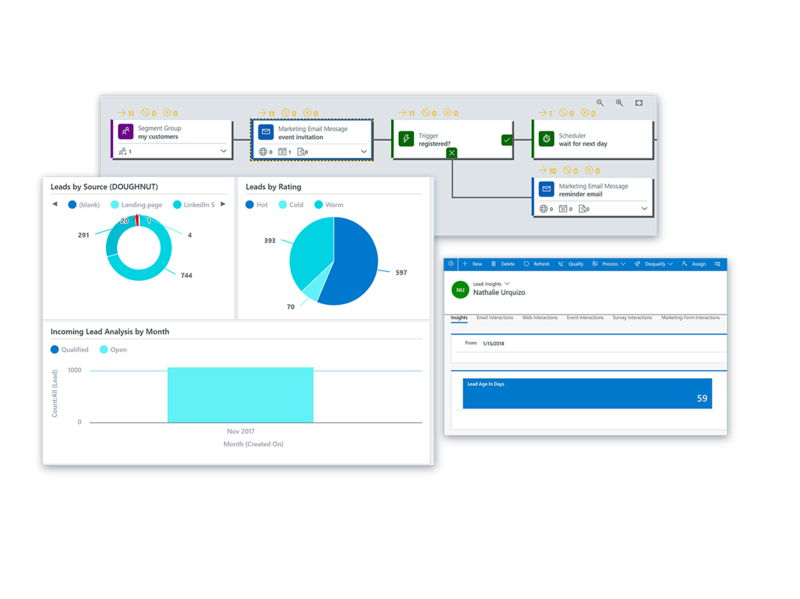 Automate processes across Dynamics 365 applications and third-party systems for improved service engagement experiences. Rely on the Microsoft cloud platform to reduce the cost and complexity of operating a global infrastructure, and trust Microsoft's data centres to safeguard your data. Transform your customer interactions with deep insights from artificial intelligence that guide your teams to the right business outcomes. Contact us to discuss your Dynamics 365 for Marketing requirements or for further information.